Could you use some happiness right now? When we consider what is happening right in our own backyard we sure could you a pick-me-up. How far would you go to put a little more love in the world if you knew you could? 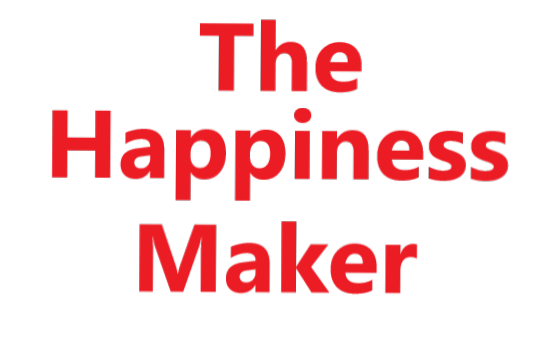 Read the touching story, "A Happiness Maker's Wish" and find out what a bubble performance artist does in the name of much-needed happiness, then you decide. The Happiness Maker's Bubble Show at the Maryland Zoo in Baltimore. An old adage says "there is more happiness in giving than in receiving". Such love is less "how someone makes you feel", but more "how you feel" when in the service of others. That warm satisfying feeling of purpose, connection, and happiness often leads to many unexpected ongoing rewards. 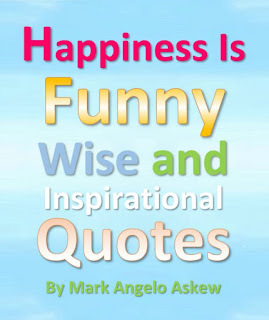 Mark Askew, now age 56, is a veteran artist, children's books author, playwright, videographer and motivational speaker. he's enjoyed the love of the arts for years and used this art to incite filial love and community solidarity among thousands. "I call myself a happiness maker as this is often the result of my work. I perform at family festivals, zoos, parks and child center events." Doing what, you ask? The program opens with a tune about letting the imagination soar, yet the presentation the audience is about to behold has nothing to do with imagination. Everything they are about to see is real, yet very surreal and unexpectedly beautiful. Objects defying gravity. Brilliant iridescent formations flying aloft lifting the spirits of the audience to unexpected heights of excitement and awe. Tricks that appear to be illusions but are wonderful displays of science and choreography. And then the biggest show-stopper of them all. One that is undeniably engaging, enchanting and charming. The K.I.B. Putting kids inside of bubbles. A little about his happiness work. As an artist, writer, musician, and craftsman he discovered a way to merge all my talents and skills to produce a magical, musical, and motivating family bubble show using over 10 varieties of very large colorful handcrafted bubble wands and my own bubble juice recipe. With these, he creates enormous iridescent bubbles, unlike anything most children have ever seen. And how do they react when they see his bubbles for the first time? Mark says, "They say the huge man-size bubble is awesome, and the spray of hundreds of bubbles at a time is breathtaking, while the long funnel bubbles are beautiful! When I observe the warm, intimate laughter, ooh's and aah's pouring out of the heart and mouths of bubble gazers I am as captivated by them as they are with my show. The good vibes and love that results are priceless. It really is something special." Mark continues, "There is nothing I love more than giving people a reason to connect, express affection and mutual regard for one another. This happiness making movement is growing. And it is a good thing too. With so much horrific bad news mounting people are overwhelmed and need something comforting and uplifting to remind them that there is a better side to life." It feels a lot like a hug and reassurance that we are still a remarkably kind, humane, and beautiful people. So I want to plan a gathering. I have this itch. An excruciatingly itchy itch I must scratch right here, right now. I want my event to materialize a few weeks from now. The problem? Not going to happen. If anything I'm just going to end up with a lot of scratch marks where my itch used to be. Benn there. Done that. And this is what I learned. The best event planning is done when you've given yourself enough time to really dig in and get into it. Sometimes you have to plan to start planning before you can actually start planning. Set a date with ample time to plan consider possible event details. Then rally the family and discuss the matter to narrow down the theme, itinerary and activities. When is the best time to start talking to the family members about the next family reunion? November 23rd to January 2nd. This is family time season. Everyone is in the frame of mind to focus on family activities. Discuss some of the ideas you and others have for a memorable family reunion. Consider possible dates for the event and pick up the discussion again sometime in December. Send out a survey in January detailing possible event locations, recommended activities and dates. 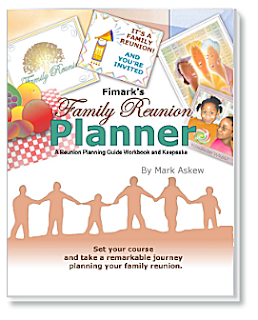 Make use of the Possible Locations form in Fimark's Family Reunion Planner Keepsake Guide as well as Themes and associated activities. The Event Timeline Reunion Planner will step you through the planning, organizing and management process. Get it on and plan to start planning your best reunion ever this weekend. Visit http://family-reunion-planner.fimark.net/index.html and access the family reunion planning app with Fimark's Family Reunion Planner Keepsake Guidebook companion. Finally, everything you need to plan a memorable family reunion is at your fingertips. I've learned that there is more readily available fake food then there is real food. If I had my way I would throw it all in the garbage scow and sail it to the edge of the earth never to be seen again. Imagine discovering a food that can save our life? That would literally be all forms of organically grown food. I love to do my own cooking with wholesome ingredients from my local farmers market and whole foods store. But how do you turn healthy food into a tasty delight? Great recipes. Here are three ways to discover healthy recipes quick'n easy. 1. 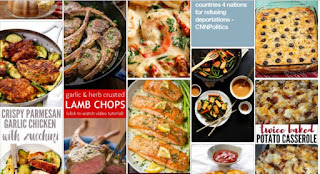 Compile recipes you know you'll love from cooking books at your local library, cooking shows and online magazines. 2. Remember your favorite dishes mom or grandma used to cook. Get the recipe when visiting the family over the weekend and jot them down while you're there. Ask about the history behind the recipe. Who passed it on to them and when? What changes were made over time? What secret ingredient, preparation and cooking techniques make it pop? 3. Find great recipes from our very own Pinterest board. Brenda and I wrote the 132 page paperback book, Fimark's Family Reunion Planner Keepsake complete with The Keepsake Family Recipe Compiler. Enter traditional recipes passed down from generation to generation. Record origin, culture, and history. Sometimes you look back on the articles I've written, apps I've developed, videos I created and events I planned and say, "wow, I did that? That was a lot of work!" An example is Fimark's Family Reunion Planner Social Web app. You think that was a lot of words - just look at what went into the development of this event planner. Over eight different apps in one package. Need a family reunion planning budget list? There's an app for that. Need a family reunion planning spreadsheet? There's an app for that. Need a family reunion keepsake memory booklet? There's an app for that. Need family reunion poems? There's an app for that. Need a cool family reunion theme complete with activity ideas and itinerary? There's an app for that. 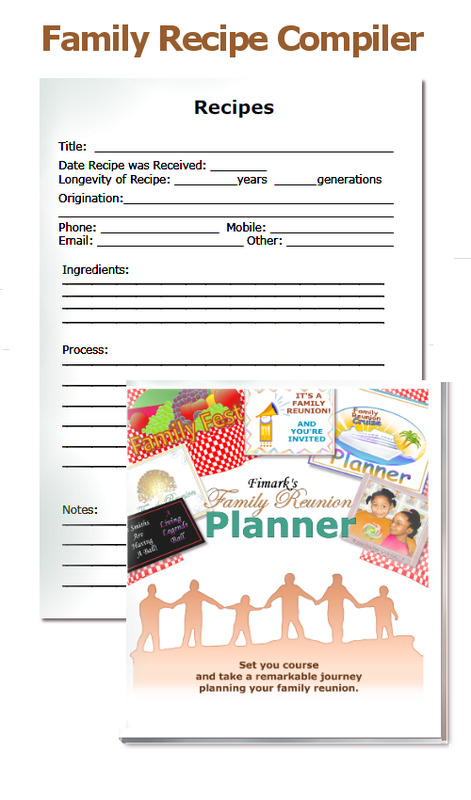 Need an entertaining and memorable formal family reunion dinner program? There's an app for that. 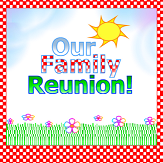 Need family reunion genealogy presentation ideas? There's an app for that. You just can't gain too much wisdom. That why I have nothing but respect for the book of Proverbs. Frankly, I believe the words of the experienced one saved my life on a number of occasions. I also firmly believe I'm still alive because of an endless string of near misses. I ducked, I dodged and I leaped and hurdles over many an obstacle in my day. Maybe that's why they call me Mr. Magoo. At any rate, I'm very thankful to be alive. That said, here are a few words of poetic wisdom worth living by. 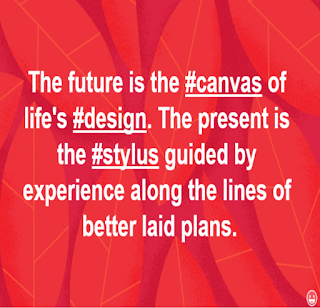 The future is the canvas of life's design. 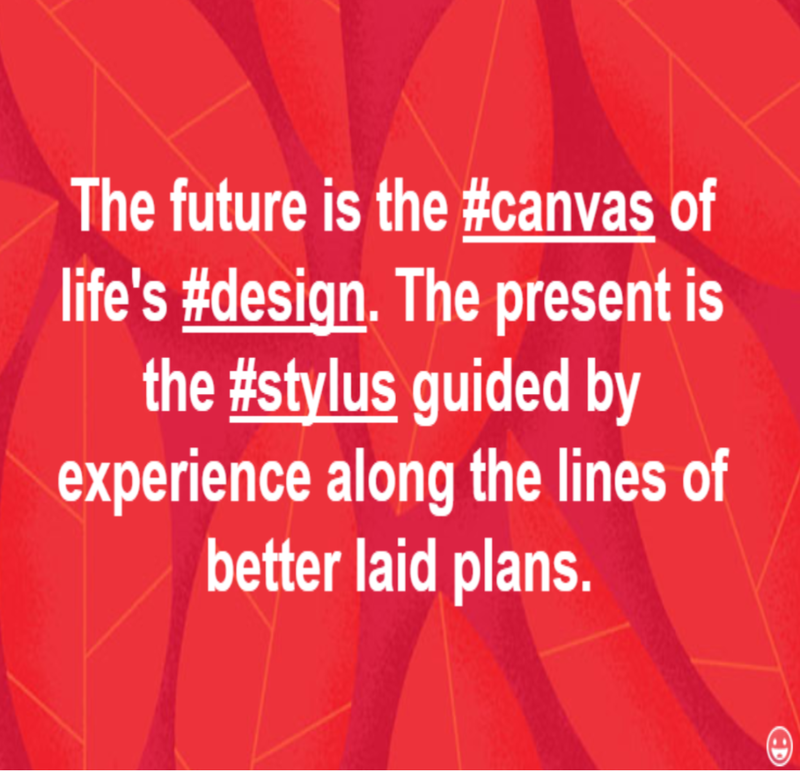 The present is the stylus guided by experience along the lines of better-laid plans.